India is a land so rich in tradition has seen the rise of many civilizations. 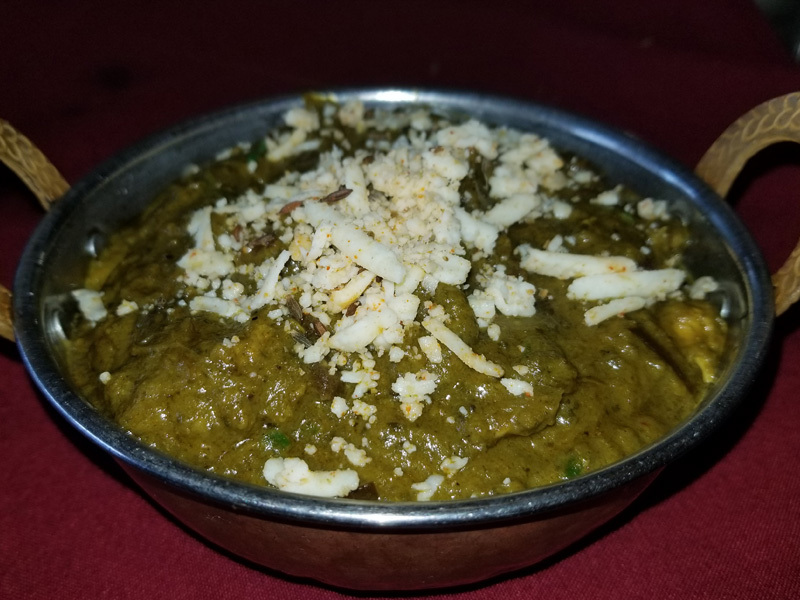 It would be surprising if Indian food had remained untouched by the hands of history. Every dish is a feast in itself. 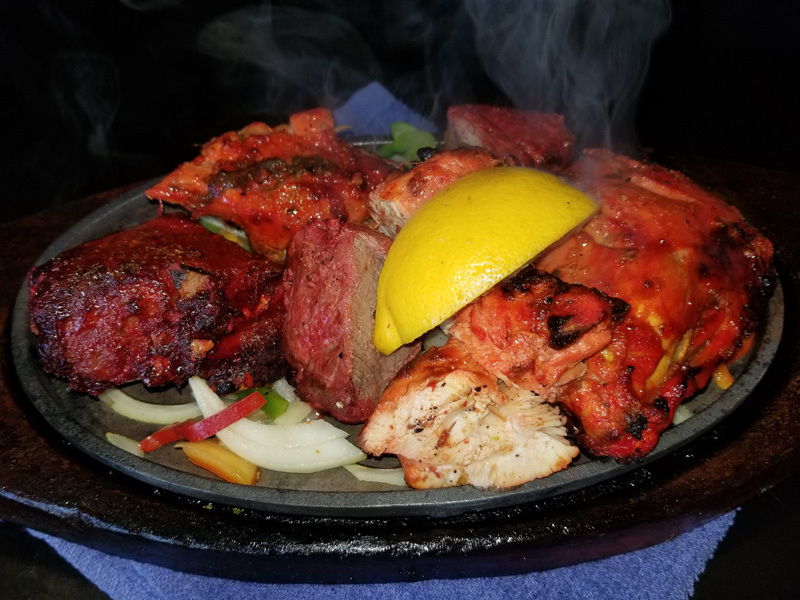 There is a misconception about Indian cuisine that the food is supposed to be hot and spicy. Rather, the spices are the ingredients that give the food its delicious flavor and taste and can be adjusted to the individual palate. Enjoy our wonderful hospitality, great ambiance, good music and our food art. 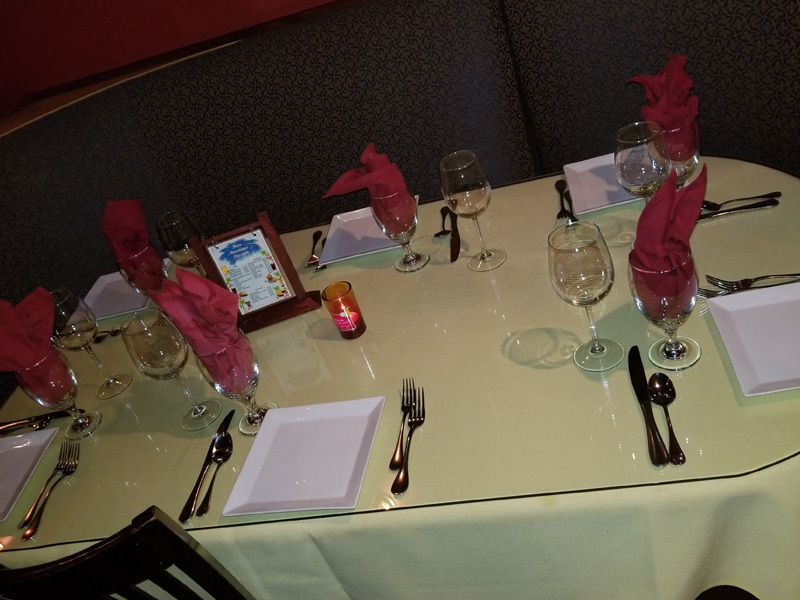 We thank you for the opportunity of being part of our dining experience at East India Grill. We have a full bar available everyday serving an extensive cocktail list, beers and wine to go with any dish you select. 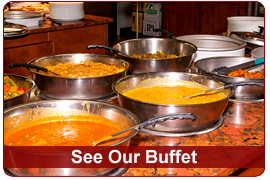 Also see what we offer on our Full Lunch Buffet served daily Monday thru Sunday. 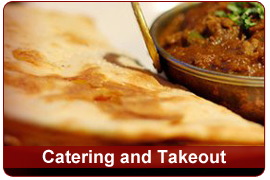 East India Grill also offers take out and catering for your parties or events. Download our PDF Restaurant Menu for eat in and take out. Download our PDF Catering Menu for your next party or company event. 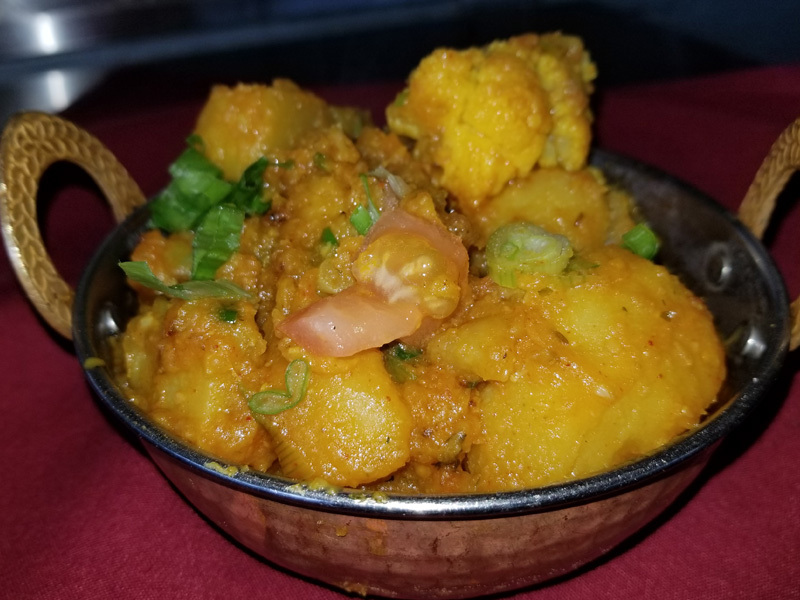 *GF marked items = Gluten Free All rice dishes, papadum, pakoras and cornbread are gluten free Samosas, naan, roti and cheese cake do contain gluten. 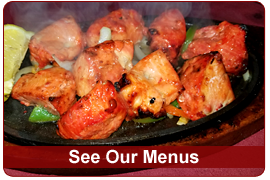 **Confirm with your server for actual menu prices as they may vary from our website. Samosa mixed garbanzo beans, yogurt, onion, chutney and sprinkled with light herbs. Homemade steamed dumplings filled with marinated ground chicken, served with delicious tomato sauce. (Nepali acher). Popular street food in Nepal. Cube of fished coated in chickpea batter fried to perfection. Golden fried lentil batter, dipped in homemade yogurt, sweet & tangy tamarind & cilantro. Topped with herbs. Romaine, cucumber, tomatoes with mangoes & mango dressing. 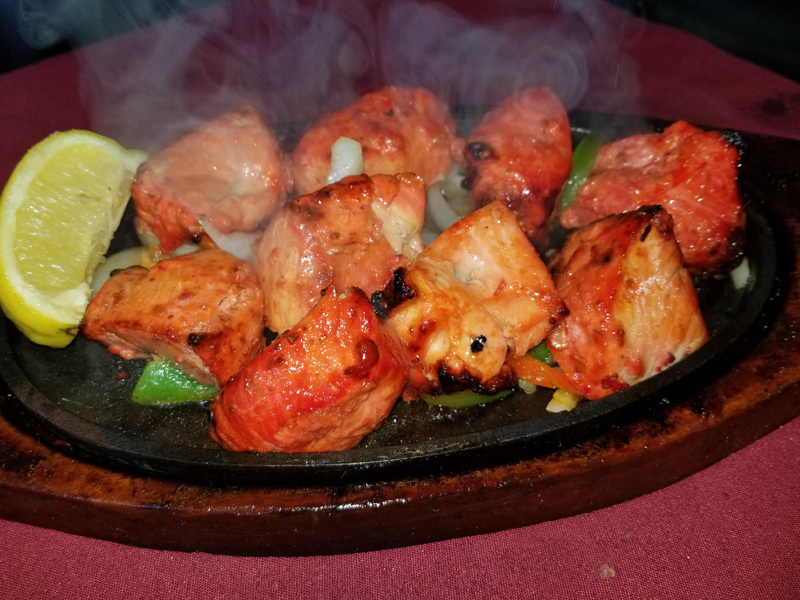 No meal can be complete without exquisite Naan! These warm breads are excellent as appetizers or as accompaniment to any meal. Each dish below is served with basmati rice. 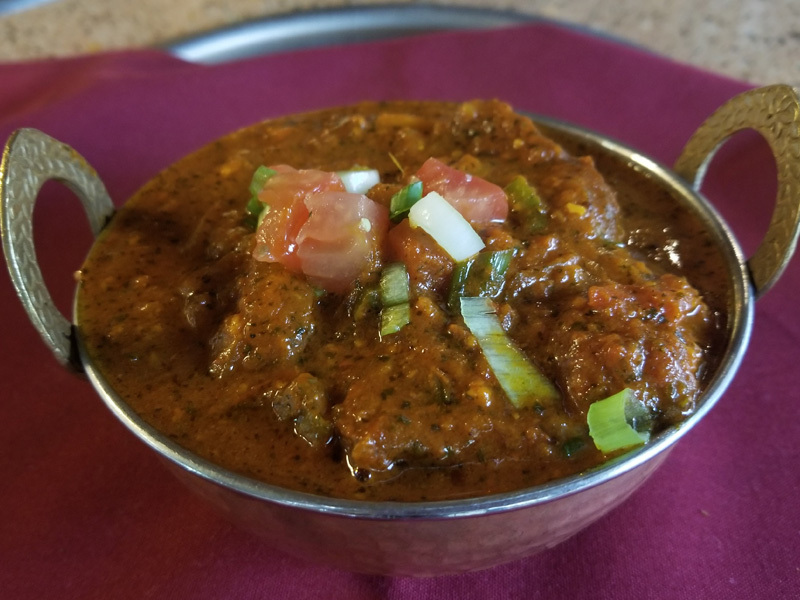 All dish from the tandoor are Gluten Free. 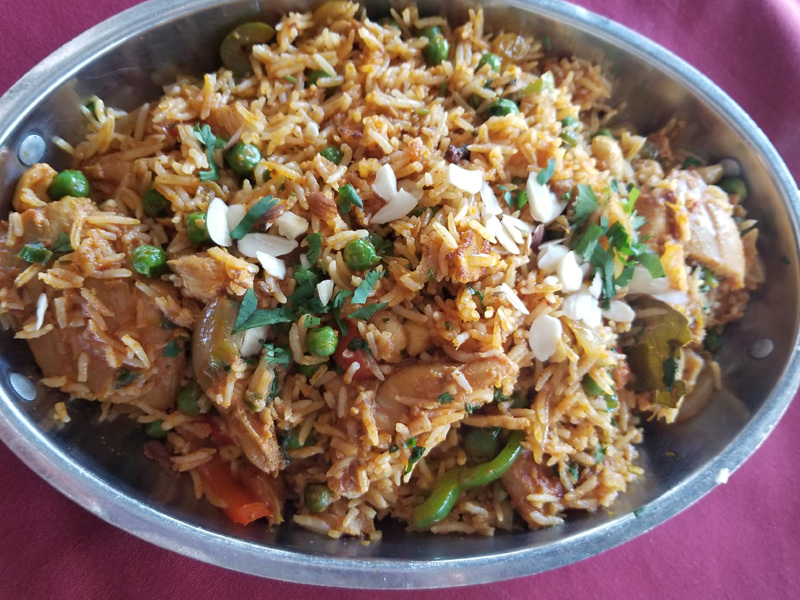 Each dish below is served with basmati rice. All Seafood Entrees are Gluten Free. Local King Salmon, filleted, seared on flat grill, topped with lemon & garlic butter, herbs, chat masala & tamarind chutney. Served with fresh vegetable, basmati rice & tika curry sauce. Shrimp cooked in spinach gravy & finished with garlic ginger cream sauce. Each dish below is served with basmati rice. All Lamb Entrees are Gluten Free. Each dish below is served with basmati rice. All Chicken Entrees are Gluten Free. 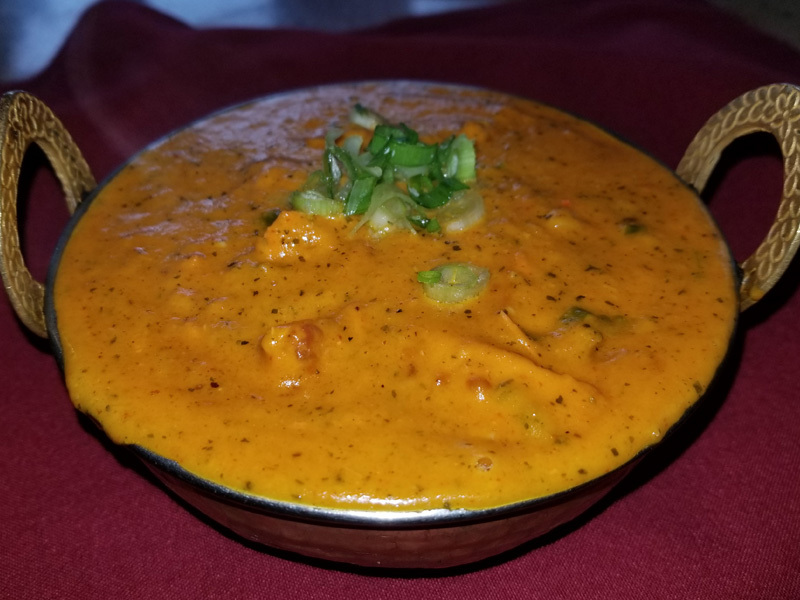 Roasted boneless chicken breast simmered in tomato cream sauce. Each dish below is served with basmati rice. All Vegetarian Entrees are Gluten Free. Vegetable in a chick pea flour dumpling, simmered in chick pea yogurt sauce, curry mustard seed and curry leaves. Homemade cheese, onion, green & red bell pepper, prepared in kadai (Traditional Wok) sautéed in garlic & ginger sauce. Homemade cheese crumbled and simmered in rich tomato butter cream sauce. ** Some actual prices may vary when you visit the restaurant.